If you’ve ever meddled with Windows Registry to customize and change advanced Windows settings, you might have come across the warning “back up registry before making any changes.” Obviously, the backup gives you a chance to restore previous settings if you don’t like them or if something goes wrong. But when dealing with the Group Policy Editor, there is no prompt to get you to back it up. This is because, unlike the Registry Editor, the Group Policy Editor has no built-in option to back up or restore current settings. However, that doesn’t mean you cannot back up and restore the Local Group Policy Editor settings. You just have to use a roundabout way as explained below. 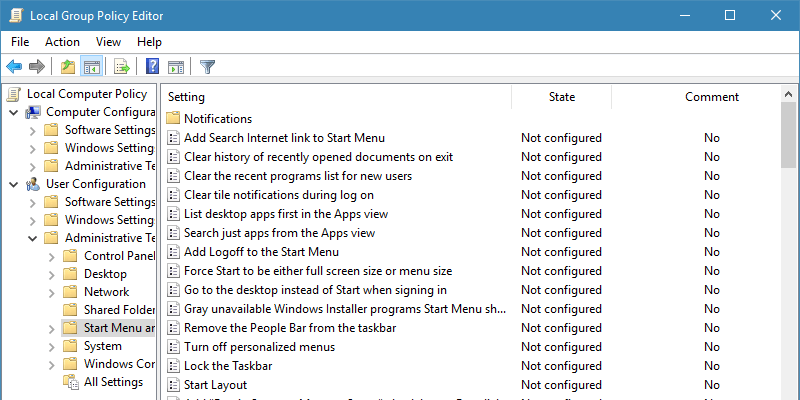 Before getting started, don’t confuse the Local Group Policy Editor, which is accessed by running the command gpedit.msc, with Group Policy Objects. Group Policy Objects are a part of the Group Policy Management Console. Typically, the Group Policy Management Console is used for server administration. To access GPMC, you first need to install it from the Control Panel and then use the Run command gpmc.msc. Note: the below method can also be used in Windows 7, 8, and 8.1. 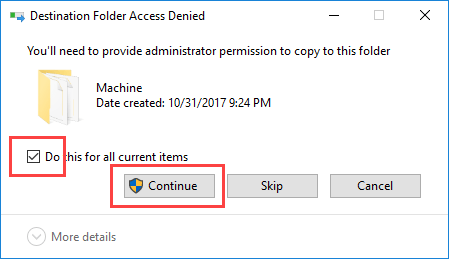 There is no built-in option to back up Group Policy Editor settings, but you can still do it by backing up relevant files and folders on your C drive. Start by opening the File Explorer using the keyboard shortcut Win + E.
In the File Explorer navigate to the “C:\Windows\System32” folder. Copy the contents of this folder to another folder in another partition or drive. Depending on your Group Policy settings, you may or may not see additional files and folders along with the regular “Machine” and “User” folders, so don’t worry if you are not seeing the same files and folders as in the below image. That’s it. You’ve successfully backed up the Group Policy settings. Since you are pasting the contents directly in the system drive, you will be prompted to provide administrative permission. Select the checkbox “Do this for all current items” and click on the “Continue” button. 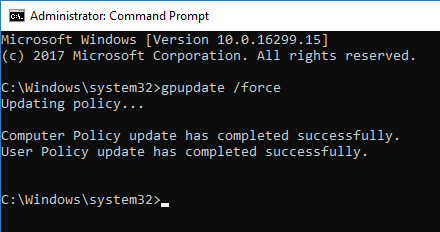 In the Command Prompt window, execute the below command to force update Group Policy settings. If you don’t want to force update the Group Policy settings, just restart your system and the policies will be automatically updated. 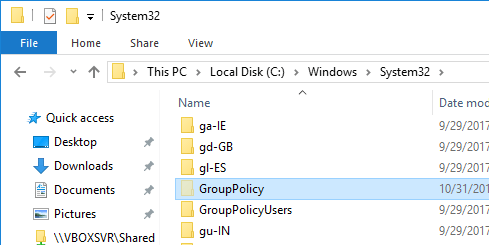 Also, if you extensively use the Local Group Policy Editor to make quick changes to your system, you should know how to search for particular group policy settings and how to see all the applied policies on a computer. These tips will make your life a bit easier when dealing with the Group Policy Editor. Comment below sharing your thoughts and experiences regarding using the above method to back up and restore Group Policy Editor settings in Windows.